Only three years after its founding in the fall of 2015, the Junges Consortium Berlin is already among the best youth choirs of Germany. The ensemble under the artistic direction of Vinzenz Weissenburger consists of about 30 young singers between 16 and 26 years of age, who have discovered for themselves the mixed sonorities of an a-cappella-choir. The repertoire ranges from works of the renaissance era (e.g. Johann Hermann Schein, Heinrich Schütz) to modern, contemporary pieces (e.g. Alwin Michael Schronen, Jake Runestad). The main goal at this is not only to preserve cultural heritage, but also to revive and reinterpret it. The artistic cornerstones of the young ensemble are its pure intonation, a musically challenging programming and an exceptional homogenity in sound in alliance with a youthful timbre. All members have longstanding and often shared choir experience, which creates a deep sense of bonding and a trusted atmosphere. The Junges Consortium Berlin stands for diversity, tolerance and an equality of opportunity! All members engage locally and internationally in the lowering of barriers, creating a common space for young people to overcome differences regardless of personal or financial background. Therefore the Junges Consortium Berlin consciously refrains from charging a membership fee. There can be no concert without practice! Twice a week the young ensemble meets for rehearsals that are often intense, mostly motivated, but always good-humoured. Thanks to the support from the Musikschule City West the rehearsal work is constantly accompanied by voice training from the renowned vocal coach Snezana Brzakovic. Nils Jensen supports the choir as a correpetitor, director of sectional rehearsals and last but not least as a cheerful motivator, which makes him an indispensable part of the choir. Three times a year the youths set out for a joint rehearsal weekend to improve their knowledge of the scores and their colleagues. This always results in the realization of how deeply making great music depends on a positive group dynamic. A deep commitment and professional performance is essential to the young singers. Already in the first year they performed over ten times in Berlin and its surroundings which adds up to an almost monthly artistic activity. In this way the Junges Consortium Berlin established itself firmly on the Berlin choir scene, premiering an original piece at the “Neuköllner Originaltöne” festival and appearing in one of the traditional sunday concerts of the Berlin choir association (Berliner Chorverband) at the chamber music hall of the Philharmonie in January of 2017. The choir can be heard frequently in its neighborhood churches, the Paul-Gerhard-Kirche and the Kirche zum Heilsbronnen in Schöneberg. The artistic ambitions of the youth choir manifested themselves in the participation in several competitions: In February 2017, the Junge Consortium Berlin was awarded three gold medals and a conductor’s prize at the international competition “Grand Prix of Nations”. At the “Tampereen Sävel” choir festival in Tampere, Finland, in June 2017, the choir won two gold medals, making it the highest ranking of over 50 international choirs. Furthermore, the Junges Consortium Berlin took part in the Berliner Chortreff 2017 in the category “A1: Mixed chamber choirs” and was awarded the distinction “very good” and the option of being forwarded to the German Choir Competition 2018. The choir won two gold diplomas at the “Sing Berlin! International Choir Festival & Competition” in July 2018 and was forwarded to the Grand Prix. Most recently, in September 2018, the Junges Consortium Berlin participated in the “Istramusica International Choir Festival & Competition” in Porec, Croatia. It was awarded two gold diplomas and was the category winner in the category “Youth Choirs of mixed voices”. Since its foundation in autumn 2015, the Junges Consortium Berlin has performed a total of 50 concerts in Berlin and abroad. The Junges Consortium Berlin is always on the lookout for challenges, for something new and wants to reach beyond familiar grounds, both musically and geographically. The young choir cultivates connections to youth choirs of other nationalities and by doing so is in constant exchange about how music is made and experienced by young people of other cultures. A trip to the Doha Youth Choir of Qatar in October 2016 has been a first opportunity to fulfill this musical and cultural curiosity and has been a great inspiration. 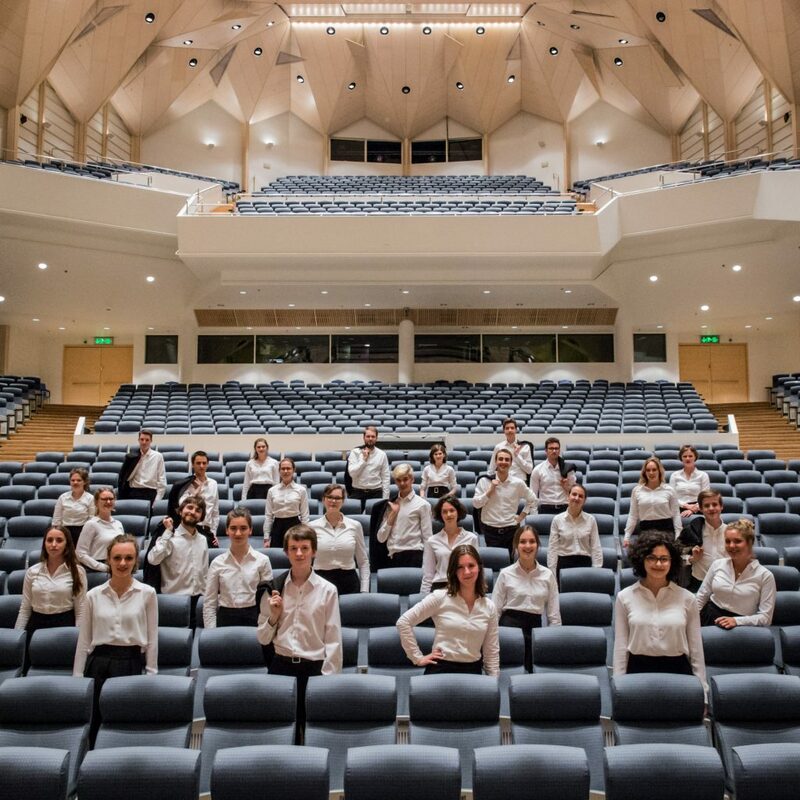 International friendships are furthermore cultivated with the Turku Cathedral Youth Choir and the Vaskivuori Upper Secondary School Chamber Choir from Finland, whom the ensemble met in June 2017 during a concert tour to Finland. 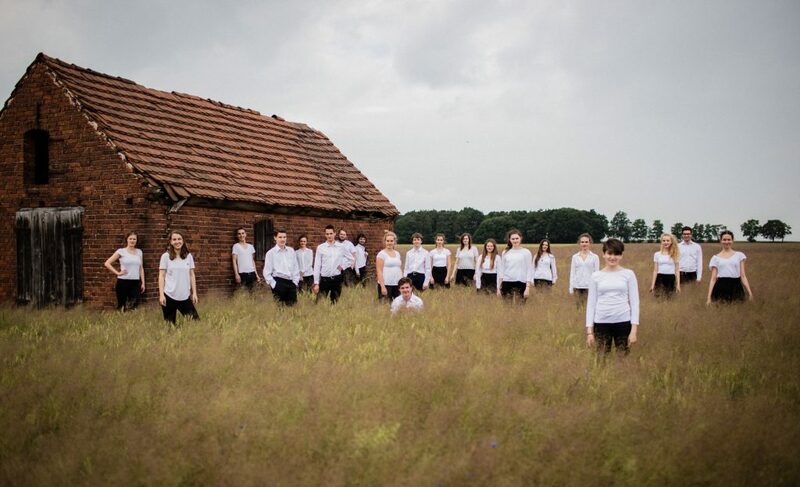 In spring 2018 the choir gave a concert tour through Germany and in autumn another one through Slovenia and Croatia, during which the Junges Consortium participated at the choir competition Istramusica in Porec, Croatia. Also, an artistic bond to the Teldex Studios and the University of Arts in Berlin allowed for professional studio recordings, which took place in April of 2017 and in July of 2018. 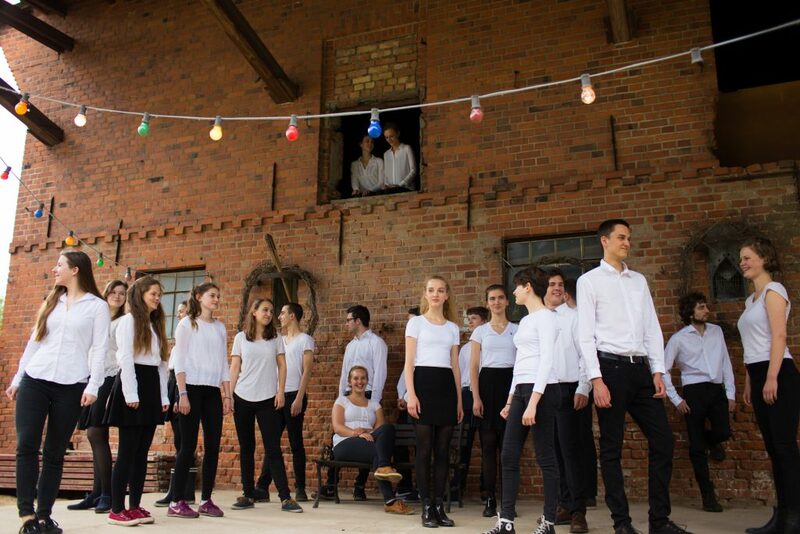 The idea to found the Junges Consortium Berlin was formed by a group of young people that had been singing together since childhood and had grown out of the age span of children’s choirs, but not out of the desire to make music together. The ensemble was able to win over the successful Berlin-based conductor Vinzenz Weissenburger as an artistic director. 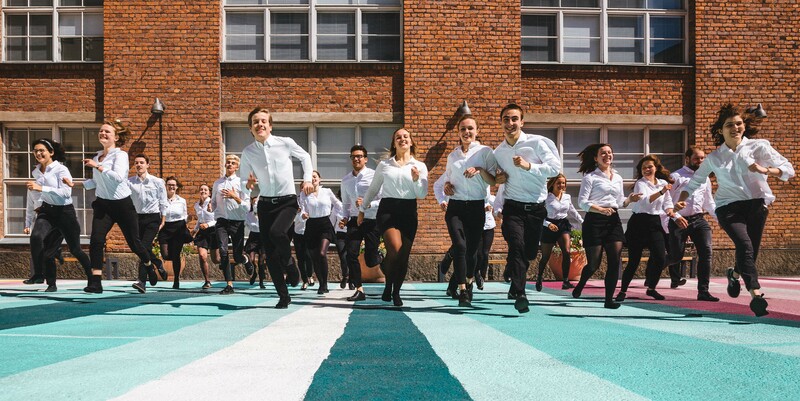 The Junges Consortium Berlin could be called into life as the youth choir of the Musikschule City West in September of 2015 thanks to his engagement.